GicleeArt.com: Photo Art printing specialists. Your photo becomes affordable canvas art. 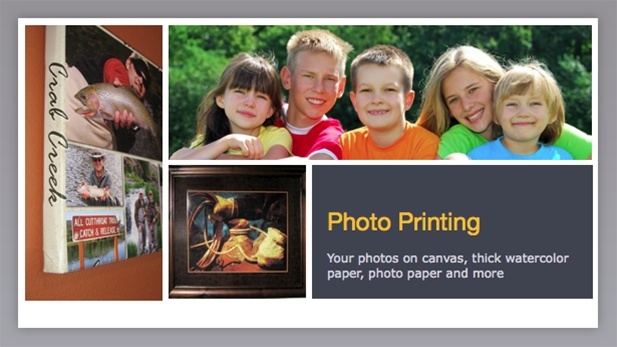 Turn your favorite photos into sentimental art on canvas, thick watercolor paper or photo paper. Our staff is highly skilled in creating beautiful prints from a variety of source photo's- digital, traditional prints, slides and even medium or large format transparencies. We handle most sources. We offer a variety of affordable custom lab services such as digital enhancement, photo restoration, repair and more. Our techs have 1,000's of hours experience in Photoshop and are experts in printing photographs with great color and archival longevity. Select the style of print you would like, the size and send us the photo- we'll take it from there. In just 3-5 days your custom printed photo will be on it's way to you.